When you go to a Major League Baseball game, you hope to see a quality game of baseball; one filled with excitement, integrity and passion. But what if your favorite team, the one you are paying your hard-earned money to go see, is not committed to putting a winning team on the field? This has become pretty common in sports in general, not just baseball. There will always be a few teams that are in the rebuilding phase of their franchise and won’t be competitive. But what happens when it’s roughly one third of the league? In that case, we have an epidemic on our hands. The concept of rebuilding, or “tanking” as it’s popularly become known as, is simple. Lose now, get a higher draft pick, and trade away all of your best assets for prospects to build towards a brighter future. But in the case of the MLB, it seems like it’s becoming about more than just that. It’s now about cutting payroll to as low as possible. Last season, there were eight teams that finished with 95 losses or more, with three of those teams losing over 100. 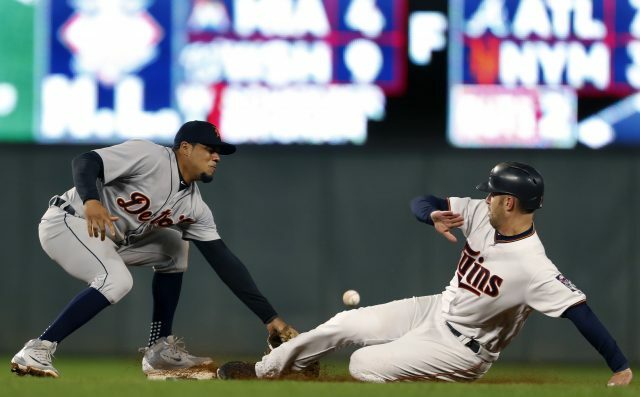 Among these teams was our beloved Detroit Tigers, who finished with a record of 64-98 for the second consecutive year. Their owner, Chris Ilitch, has shown no interest in improving the team anytime soon. Tigers General Manager Al Avila recently spoke with the Detroit News and said the team could finally start spending money again in 2021. But by that time, will we, as fans, even care anymore? By 2021, the Tigers will not have been competitive for four consecutive seasons, and many fans will have simply lost interest. They will find better and more important things to do with their time and money. Ilitch has no room to cry foul about the payroll. This is a team that had the fourth highest payroll in the league in 2016 at just over $200 million. They’ve shown in the past that they are willing to shell out some cash when they want to. I get wanting to rebuild for the future, but teams should at least try to field a competitive team during the rebuild phase of their franchise. MLB has recently proposed a rule that would discourage teams from tanking. According to an article from the Ringer, the rule would reward teams that make the playoffs with a higher draft position, while it would penalize bad teams. There is certainly a way to fix this issue, but this isn’t it. Why should the team that wins the World Series get a high draft pick? This would only make competitive balance an even bigger issue than it already is. Instead, there should be a minimum payroll that every team should have to meet, a salary floor, if you will. This would force teams to make an attempt to put a competitive team on the field, while simultaneously solving other issues like the free agency controversy and the falling attendance. The average payroll in MLB is about $127 million, so I’ll say the absolute minimum payroll that a team should have is $100 million. I understand that there are some teams like the Oakland Athletics, Tampa Bay Rays and Kansas City Royals that will rarely have high payrolls because they play in small markets. But to the teams that can afford to field a competitive team year in and year out, do it. So what if you’re in a rebuild. Fans want to see good baseball, and until that happens we’ll keep talking with our wallets.